"Look back, to slavery, to suffrage, to integration and one thing is clear. Fashions in bigotry come and go. The right thing lasts." at Bryn Mawr College in Bryn Mawr, PA. In a letter, dated March 31, 1776, to her husband, President John Adams, Abigail Adams declares that if particular care is not paid to the ladies they would be determined to form a rebellion and “will not hold ourselves bound by any Laws in which we have no voice, or Representation.” From the very beginning, Tennesseans have been at the forefront of that rebellion and supported the state’s well deserved nickname, “The Volunteer State.” This exhibit introduces you to Tennesseans who “volunteered” their time and did what they could for the cause of suffrage. It also delves into the role that Tennessee played in gaining women the right to vote on a national level and discusses the place Tennessee landmarks, like the Hermitage Hotel, played in the suffrage and anti-suffrage movements. Join us and see how Tennessee’s “volunteers” won it. The ratification of the 19th Amendment giving women the right to vote represented the zenith of Progressivism. The Progressive Movement was a concerted effort to reform government, labor, economics and politics and to correct social ills. The women’s movement was a fundamental part of that reform. Though the roots of the effort are traced to the 1848 Seneca Falls Convention, it did not gain steam until the late 19th century. 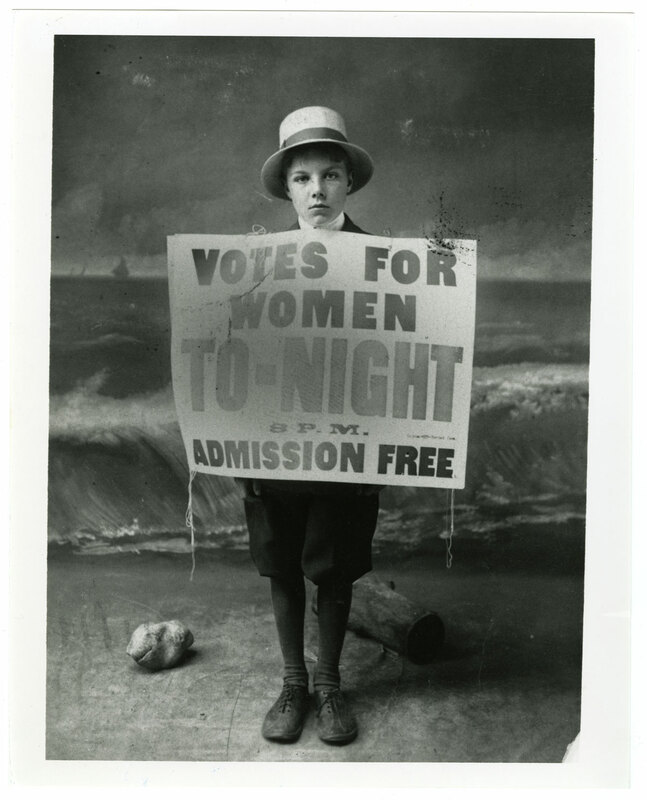 The word SUFFRAGE means VOTE or political support. The suffrage movement was not unique to the United States and several countries had already extended the franchise to women. Contemporaneous efforts were being launched in Great Britain, Norway, Canada, Denmark, France and Soviet Russia to name a few. Not all women favored the right to vote. In Tennessee, there was a powerful Anti-Suffrage lobby that vigorously opposed ratification. Here, the issue would be decided one way or another in 1920. Both Anti and Pro “Suffs” mobilized their forces for the final fight and set up headquarters at the Hermitage Hotel in Nashville, a short walk from the Capitol. The hotel still stands elegantly at the corner of Sixth and Union. The Pro-Suffragists were organized as well and their Tennessee factions were reinforced by many out-of-staters, a point on which the Antis cried foul. Perhaps the most influential Suff here was CARRIE CHAPMAN CATT whose papers are featured in this exhibit. The Antis were led by Tennessee native JOSEPHINE PEARSON whose papers are also on deposit at the Tennessee State Library and Archives. President Woodrow Wilson was a slow convert to suffragism but finally gave his support in 1920. The Wilson Administration was held responsible for jailing some of the Suffs in Washington during 1917. The public was horrified when it learned of prison conditions and the force-feeding of suffragists. It is our hope that this exhibit will help the visitor better understand Tennessee’s significant role during the campaign to ratify the 19th Amendment.